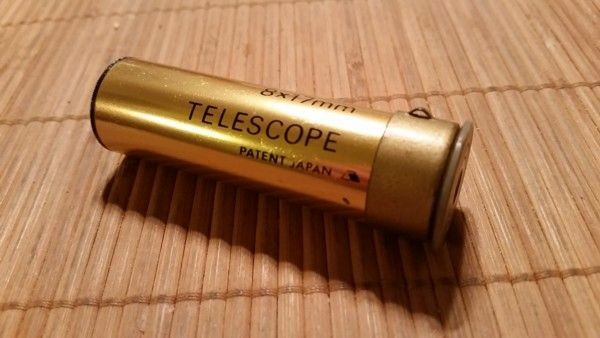 Lars, here is some information on your new telescope. FYI, the exact model you have is only called the "227 Power Astronomical and Terrestrial Telescope" Your wood box will have the the 227X ect on it. The name "7T" is not used in the Tasco 228 Power or 227 Power instruction manuals or even the first 304 Power version. Your 227 Power version appears to be be the model that came out after the Tasco 152X crinkle finished mounts/scope. My documentation dates the 227 Power version to before mid 1959. I base this on my Tasco 304 Power model which has a May 1959 invoice calling it only the 7T. The 7TE 304 Power model is first advertised as such in a late 1959 or 1960 Tasco Sales Brochure. So, all these scopes are before the Tasco 7TE 304 Power models. Thanks Stephen! So you have a 304x scope that is called a 7T, the 152x models are 7Ts, but this one is out there by itself without a "T" designation. Very interesting. I wonder if that makes it "rare" (I hate that overused word, but can't think of a better one right now). Oh and yes, it does have that really long terrestrial eyepiece/attachment. 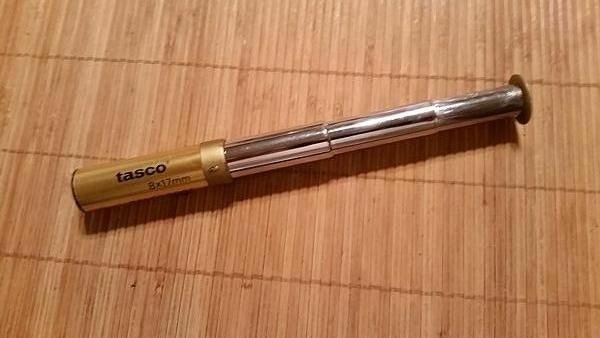 So far no one has come across a manual for a crinkle finish Tasco 152X model to my knowledge. 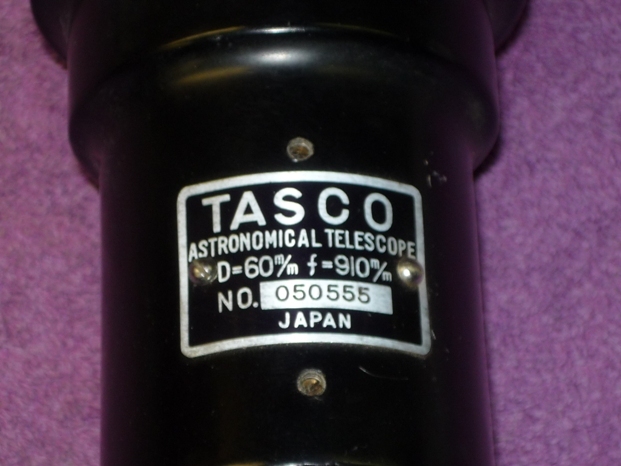 I have have be able to find any pre 1959 literature for Tasco to see when they started using the model number 7T. 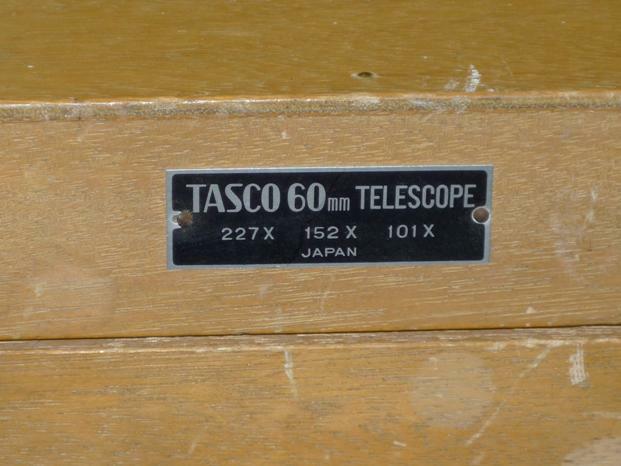 Only because my May 1959 invoice has 7T written on it and the manual does not, I'm guessing Tasco at the time of Sale in May 1959 had not started calling the scope 7TE officially. 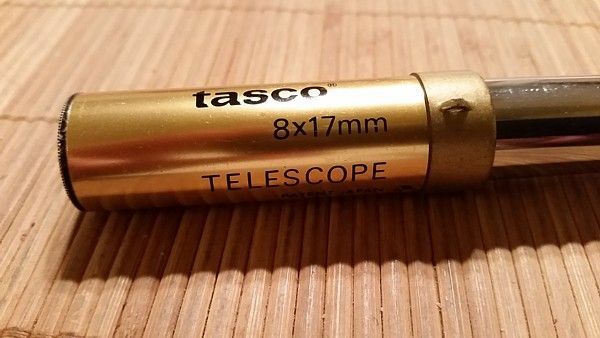 I assume based on other late 1950 models gift boxes, Tasco called their scopes for example No. 6 Tel and then 6TE. So I bet the 60 x 910mm would have been first called No. 7 Tel aka 7T for short and then Tasco by late 1959 or 1960 called started using the "TE" after the model names. Again this is based on my 1959/60 Sale brochure where the name "TE" is used to identify all of their models at that time. Got a surprise in the mail the other night, the Sears 6301 that I bought via ebay last week. It appears to be a Tasco 6T clone or something pretty close. The label has a Circle T on it, and the lens is deep purple. All metal. The finder is this long tube that might just be no power, only crosshairs. 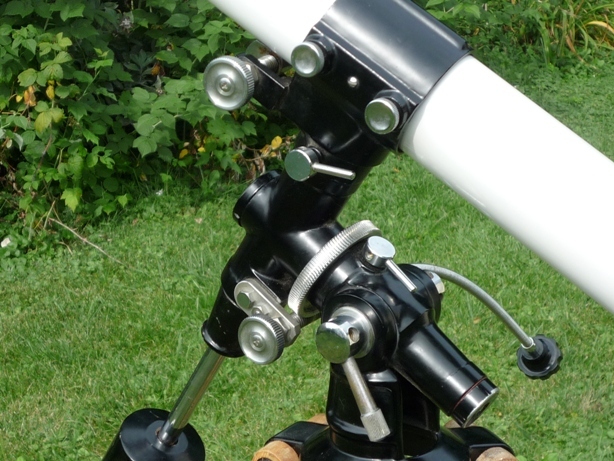 New scope curse means lots of clouds, but I'll get it outside with some of those new eyepieces shortly. One more thing: Found a guy in WA who had a bunch of .965 stuff on ebay, bought a couple pieces and got them shipped together. Can't wait to see those: a Celestron 40 K and a 30 K to add to my 10 and 25 Cometron Vixen set, plus a T-adapter, porro prism and 1.25 to .965 adapter, all new in the box. I've been very pleased with my Celestron/Vixen KE30 & KE18 .965 eyepieces - start out every observing session with them. I've been observing with this spotter for a while now and it is absolutely stunning. I have a feeling if I see a B&L telescope for sale I'm going to think very VERY seriously about buying it! Testing systems 1234 I can see now without my glasses. Edited by actionhac, 03 August 2014 - 11:48 PM. Follow up: the Sears 6301 50x600 is an amazing little scope. 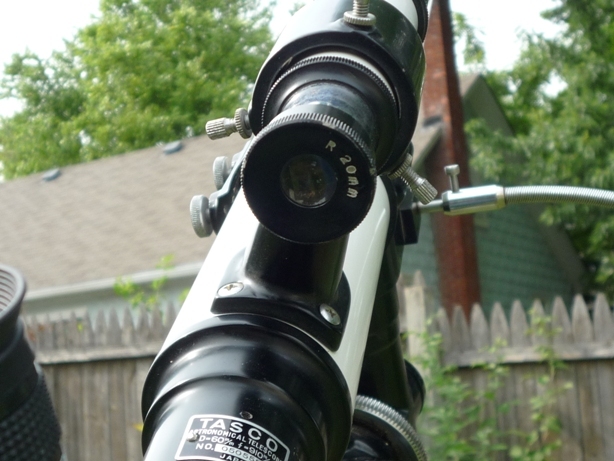 I used it for an hour or so last night on my little patch of backyard sky, and the glass is fantastic. The mount was nice, too - I've never played with a yoke mount that was so well balanced. I guess I shouldn't be surprised, it's a Circle T.
OK, I finally bought a Tasco. Pics when it gets here. Edited by DocFinance, 06 August 2014 - 12:27 PM. Congrats on your Tasco, looking forward to the pics.. I bet I know which one, too. Good choice. I already have 2 Tasco OTAs, all are the same 60mm x 700mm. 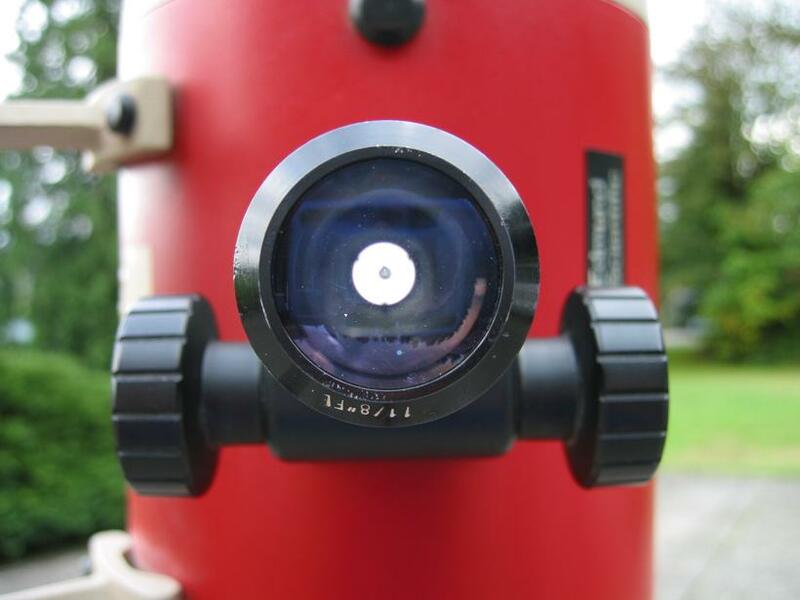 One has been retrofitted with an all-metal 1.25" focuser. And I have an objective, cell, and tube for a third. 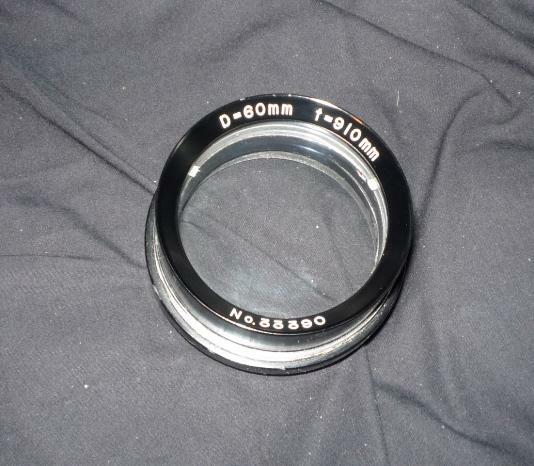 The new one is just an OTA itself, but not another 60mm. The finder on this was goofy. It had the silver barrel attached, but no eyepiece "top", so I just screwed on the Ramsden top which was floating around in the box. I'm not sure that's correct, but it seems to be around 6x. Great looking scope! The finder eyepiece looks like it belongs there. I have a spare mount that has the same finish - very nice. Very nice job on that Tasco. The new Tasco arrived today! Here it is. A whopper of an OTA. 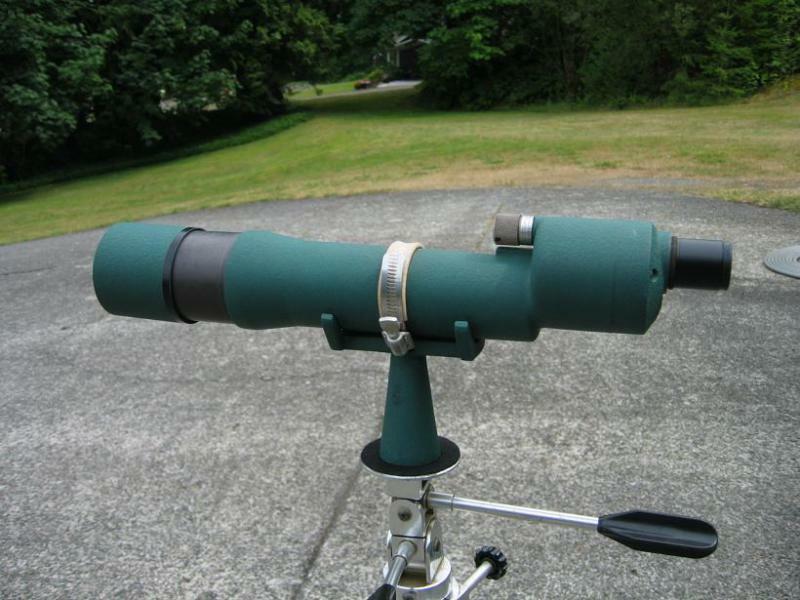 8x17mm "spyglass" style telescope, found on eBay last week. Never seen one like it, it could be a salesman's promotional novelty. The seller said that they could never get it to focus. Looking closely, it appears that only the last section was ever pulled-out, there is almost no wear on the two largest chromed sections. The auction photo only showed the first section pulled out slightly. It focuses perfectly, I was looking at the full moon tonight with it, but it was designed to focus only at infinity. There is only a few mm of "out" travel available from the infinity focus, so looking at nearby objects is not possible. 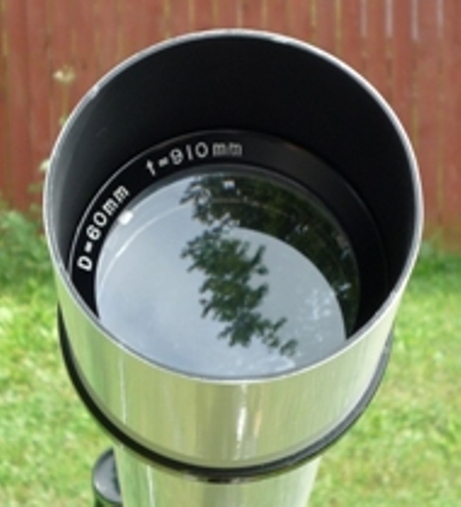 There is a built-in erector system in the smallest chrome section, you can see the first lens near it's end when looking backwards through the system. This expains the erect image. The image is dim, I could only see first-magnitude stars from my suburban, light-polluted back yard. Vega and Arcturus were easy, as was the moon, but Alcor & Mizar eluded me. I think this is a record for smallest Tasco. Anybody else ever seen one of these, or know the manufacture date? Frank, I think you hit the nail on the head. Not only does it look just like a 12 gauge shell, it's almost exactly the same size when collapsed. Chuck, that does indeed look like a shotshell. I bet it was made as a promo giveaway, and other versions were branded for the shotshell manufacturers. well... I finally broke down and bought a C90 on ebay, the one I posted up the other day on the other thread. again, no feeding frenzy or wild-eyed prices. It's got to be mylast buy for a while, but I figured with all my .965 stuff I'm ready for one. Should be on it's way. Tim, if the C90 you got was the one Joe (Tile Guy) was selling, you got it for a decent price, I was watching that one. Orange-tube OTAs with few or no extras have been going for right around a hundred bucks, give or take fifteen. I'm pleased with mine (found on eBay in June), it's not as sharp as a well-made refractor of similar aperture, but sharp enough, and it packs a lot of focal length into a very short tube. The Meade ETX thread-on adapter fits it and allows you to use standard SCT accessories. 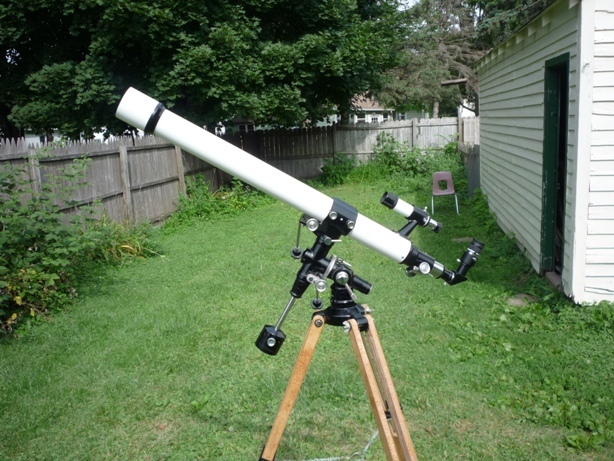 I found my adapter at Telescope.com (Hayneedle). Most other vendors were out-of-stock at the time. I've been playing around with the little Tasco shotgun shell this morning. Turns out that it can focus as close as about 50 inches! So I'm not sure what my problem was last night. The objective doesn't look like an achromat, there is color fringing on the outer 1/3 of the FOV, much more than you'd expect with an achromat. I may try and disassemble it and find out for sure. There appears to be a bit of dust on an interior lens surface in the erector, because I can see it just out of focus when looking at a clear blue sky. But it is sharp for the middle part of the field, I was seeing great detail on telephone poles a few blocks away. Resolution is about what you'd expect for a 17mm clear aperture.